The Punch needle is an essential part of of the Puncher system to transfer cells from the microwell chip towards the reaction tube / cup of choice. 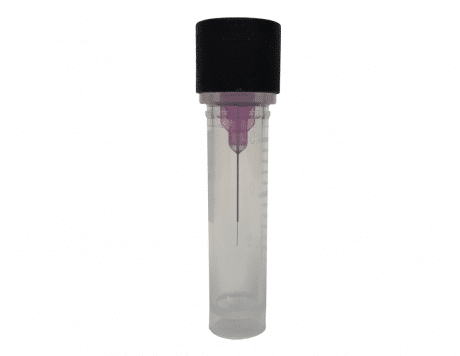 The needle Punches the microwell bottom + cell towards a reaction tube or PCR well plate for downstream analysis. The tip of the Punch needle is shaped such that it punches out the bottom of the microwell without touching the cell. Once the microwell bottom with the cell is isolated into the PCR tube or well plate its DNA can be amplified and prepared for downstream analysis.